In 2016 the news of an auto shop in Poland still using a Commodore 64 for balancing driveshafts became very popular. The idea of a 25 years old computer still performing its task seemed to both fuel the story of ancient technology being sturdier than the modern one, and instill respect towards a mechanic who refuses to bend to the consumeristic urges of our times. Throw some nostalgia in the mix and you get yourself a recipe for virality. Now compare this with my experience of the BART public transportation system in San Francisco. The announcements on train arrivals (plus all sort of disruptions) are communicated through two synthesized voices that are technologically stuck in the early 1990s. My first reaction was of utter dismay. How could the sound system in (what many seem to think is) one the most technologically advanced places in the world be so obsolete? After this realization settled down, I gradually surrendered to the idea that the entire public transportation system in the Bay Area is a run down piece of excrements. Reading more about the synthesized voices only makes things worse when you realize that the system was installed around the turn of the millennium. Discussing the matter with people living in San Francisco I was met with similar dismay, and shrugs of resignation towards something perceived as a lost cause. Cause and context are I believe the hinges separating these two examples. Cause as in purpose, motivation, justification. We project intentionality and a somewhat resilient character in the Polish mechanic—whether or not that’s the case. It’s hard instead to find a justification for the BART not exercising its political power over, say, Google to get a more up to date Text-to-speech system. And context is king. 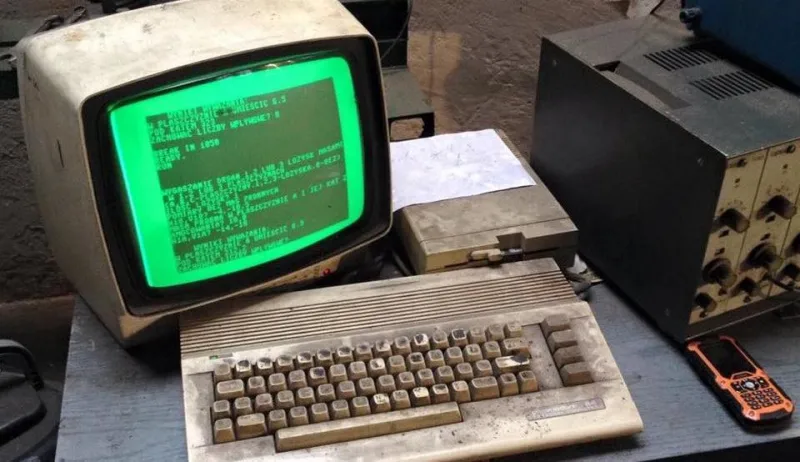 The dusty, greasy auto shop makes for a scruffy, grungy appearance—we expect an auto shop to look like that—and the C64 is an enhancer, a cherry on top. It’s almost steampunk. The synthesized voices in the BART could, in theory, be very cool if they were part of a modern, efficient transportation system (*expectation*) and if they were used sparingly (say, on HAL 9000’s or Stephen Hawking’s birthday). But instead, they look just like an old technology part of a decrepit system. Also, there’s no nostalgia when you are busy examining if the seat you want to take has human fluids on it. I now call it “the BARF”.